We are The Kinte Center for the Study of Urban Commerce Inc., and Oakland based 501 (C) (3) charitable non-profit organization that is totally solution oriented. Our non-profit’s Specific Purpose as filed with the California Secretary of State in 2006 is to reduce unemployment in East Oakland at 55th Avenue east to the Oakland-San Leandro border. To this end, our concentration is job creation from the existing over 3.4 Billion dollars in Annual Household Consumer Expenditures by residents in our targeted East Oakland community through new locally owned job creating major retail businesses in the community. 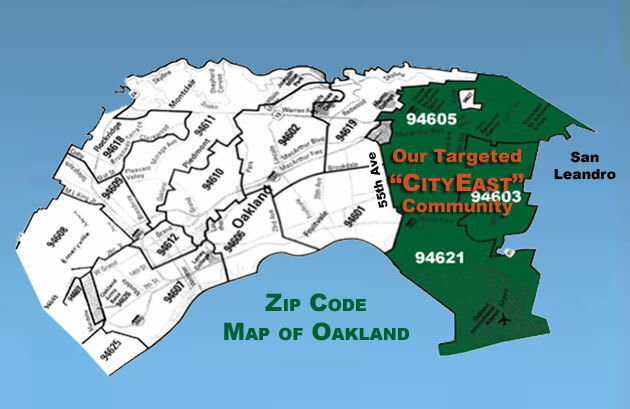 To view a list of Annual Household Consumer Expenditures by residents of our targeted East Oakland community click here.